For years now I have been encouraging businesses and bloggers to stop competing and start collaborating. I even announced that Collaborating is THE Word for 2011 and I still believe that. Every blogger will benefit from adding a geographic component to their existing blog as I explain in Why Your Geographic Location IS a Niche and in Bloggers: Position Yourself Where the Money Is. Use these tips from professional copywriter Donna Anderson (@SheWritesALot) on writing compelling local content. I am personally mentoring groups of bloggers to develop best practices. These are posts that include information about what we’ve been working on. As we have more data I will put together more formal how-to methods and case studies. Rohan @365thingstododc wrote about my small business advice offerings and ran with my blogger collaboration ideas. He founded the most successful blog collaboration I’ve ever seen: 44+ now 62+ and still growing Washington D.C. Food Bloggers which has grown into this formal Washington D.C. Influencers service. Homeschooling Deals blogger Kelli @momof3boys3702 is leading a formal blog mentoring collaboration and wrote YES! Collaborating with other bloggers works! If you have a blog collaboration and would like to have it listed on this page – whether I mentor you or not – please contact me via Skype to GrowMap or via a regular tweet on Twitter to @GrowMap or by leaving your information including any number of relevant links on what you are doing in the comments of this post. URLs to any blogs you are active on including a link to your about page. (If it is not your personal blog, include a link to your author page or at least the username your posts are published under. Primary topics you write about. Your Twitter username if you have one (if you put it in the Twitter field that is fine). If any of the above is confusing just leave that part out and include what you can in a comment below. Whether you are currently interested in a blog collaboration or not, Bloggers: Promote Your Blog Here (and as soon as I find the links or they volunteer them I’ll add more places you can do that). 2018 collaborations are quite easy now thanks to platforms with large data base to connect with other business. phlanx.com is a notable one when it comes to this. really great info. about blogging thanks for providing me nice info………………………. I really like this suggestion of collaboration vs competing for success. You can’t do anything in this life alone, and creating a successful business is a communal effort. I write about construction contracting and am based in California, but the site caters to the entire USA. All blogger are striving for survival in the indsutry but it should a collaborating industry and not survival of the fittest. Please use KeywordLuv instead of putting unrelated links in the body of comments. I am interested in participating in something like this, but my site is so new that I don’t yet have an audience. Is it best to wait until you have something to offer, or is there a way to connect new bloggers? No, I encourage bloggers to get started collaborating right away. It makes the difference between getting traffic and making money and struggling for years to learn the basics and what works. While I know many people who only want to work with those who can give more than they get not everyone is like that. I work with brand new blogs all the time and there are many others like me who encourage and support new bloggers. Relevance is key and far more important than what you currently have so far. I focus on putting together bloggers who are highly ethical and believe in Dofollow and using CommentLuv. If that describes you we’ll get you on board soon. I am excited about CommentLuv and will install it today, provided it is compatible with my WordPress theme. I also will need to determine if my links are DoFollow. I just installed CommentLuv and made my site DoFollow. It was surprisingly easy. Looking forward to reaping the results! Collaborating is always beneficial for everyone involved, but I assure you that competing is a good thing; it is what makes you get better and achieve great results. Collaborating is a Great idea. It’s seems to be an easy way to establish a link wheel. I said on one of my blogs that Internet Marketers should be a community and not competing with each other. That would include bloggers as it would build trust and friendship with everyone in the community. To be honest, I’m actually impressed how much bloggers support each other. But you are right, it still needs some more work, because if you ask me , we can never have too many good practices. There is always room for us to improve on. I thought I posted this but I didn’t see it pending so I’ll post it again… delete this if it’s a duplicate! This whole post and linked posts are great! I’m glad to see you doing this project, I think it will really help. Coming from a perspective of a blogger who is not primarily an internet marketer, but does some internet marketing on other sites, I have to say it’s a glaring contrast of how many bloggers in my niche (homesteading/self sufficiency) have no idea about anything marketing themselves or how they could possibly make money blogging. Many of the tricks of the trade employed by marketers could really be of benefit to non-marketer bloggers but they seriously just don’t know about them. Why something like Commentluv or offering dofollow comments would be beneficial, for instance. Anyway, I did just post on the directory, but I’ll post here too with my info. I’m definitely interested in a collaboration, and in a few months I’d probably be interested in leading one though I would need some assistance 🙂 I’m due to have a baby early December so I’d need a little time to get life back running smoothly but I am VERY interested in this. Where you are located (city or closest geo-metro, state, country) – Just outside Seattle/Puget Sound area. Also geographically tied to the Spokane, WA area since our goal is to move out to our acreage there. http://homesteaderkitchen.com – product review site for kitchen appliances I have owned or used and highly recommend to the homesteader – cheese press for homemade cheese, dehydrator, etc. http://homesteaderschool.com – site I admin for my parents and post sometimes. Focus is on instructional posts for sustainable skills. Examples are building a homemade grow rack for seed starting, or how to use a whole chicken. http://rurallivingtoday.com – site I also admin for my parents, post sometimes. Focus is on information and encouragement for those who want to transition from city life to rural living. Also is a way to advertise my father who is a consultant & general contractor assisting people from out of the area relocate to their own rural properties in the Spokane area. Best ways to contact you (Twitter, Skype, Facebook, Google+, etc.) – normally via email (above) but I am having registrar issues which will be resolved next week, in the meantime my blog and domain are down. Best contact at the moment is Twitter or Facebook, which I check periodically through the day. When you are most likely to be online on any of those (range of times including time zone). [Example: 12-4 p.m. CST or afternoons MST or mornings EST] – almost always online working between 7-8am PST M-F, otherwise times are sporadic. I usually have some afternoon time or evening time available for pre-scheduled things. I haven’t forgotten you – I’m still pulling things together to kick off more collaborations. Hi Gail, Thanks for the heads up on this post! I think I’ll have time to peruse the resources a little more pretty soon but for now, I will let you know I’d be interested. I am due to have a baby in about a month and so my time is kind of sporadic at the moment but I’m very interested in learning more about this idea, since I expect my energy and time to sort of even out a bit in a few months. I’m located in the Puget Sound, near Seattle. We will be relocating to Eastern WA in the next few years probably. I’m active on a few blogs. http://uncledutchfarms.com is my personal blog, though I’m having registrar issues at the moment so it will be down for a few days. I mostly just write a mix of personal and instructional how-to posts, recipes, observations on rural life, etc. I started the blog when I was working full-time in the city putting my husband through school, and it’s been kind of a public way to chronicle the journey of my family and myself to our goal of a more sustainable rural life. We’re about halfway there – I’m a stay home mom now, we live on a few acres with fruit trees and some chickens, but the goal is to move out to our acreage, build a small cabin, and raise our kids in the country. Connected to that site, I also run Homesteader Kitchen (linked under my name) which is a site that does reviews of kitchen type appliances and items of interest to homesteader-types, like cheese presses, dehydrators, etc. I’m working on getting more informational articles up as well. I also operate http://rurallivingtoday.com and http://homesteaderschool.com with my parents as resources for people wanting to make the transition from living in the city to a more rural place, and learning the necessary skills, but I’m more of an admin than a regular poster. I’m generally online, actively focused between 7-8am PST M-F (my only real marketing time) and sometimes in the afternoons too, but my time is pretty limited. The best way to reach me normally is via email but since I’m having domain issues, tweeting or messaging on Facebook is the best way until that’s resolved next week. I do check those throughout the day. You are such a thoughtful to come up such amazing idea..Collaboration will surely be a big hit.. I know it will continue.. Keep posting some more good news! Well I hope to read more discussion about blogging collaborations for me to understand it very well. Because it’s very interesting if this will pursue. Hi Gail, my newsletter is a blog collaborative of sort. I still have a long way to go to get it perfected but ultimately I would love to see it supporting a dozen or more newsletter partners and the blogging niche in general. If you have any advice or ideas, or want to participate, let me know. I could use all the help I can get. Do you use Skype or IM? We could touch base later this week after the buzz about the CommentLuv Premium launch and a commitment I have on Wednesday. Did you read the post I’ve put in CommentLuv in this reply? That sounds great. My Skype is name is csc4u.com. Do you have any free time on Saturday? IM, phone or email is fine too. Thanks. I love the idea about collaboration (what with two heads being better than one) but I love even more that the school of thinking that internet marketing should be “local” is supported by many A-listers like you Gail. I encourage bloggers and small businesses to work together to create an alternative economy for the small percentage of people who understand the importance. collaboration is a good idea. and guest posting is very useful in collaboration. this post is really amazing and nice. 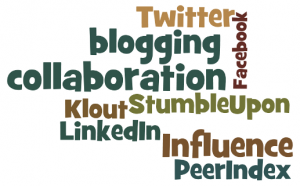 Collaborating (such as through guest blog posts) are fantastic and mutually beneficial. I do it all the time in my work. Of course, you never give up competing though. What is more exactly a blog collaboration? What are the benefits of collaborating? I would like to work together with others and make better things happen but am not sure what this collaborations is. Thank you for the article, very interesting. 1) Commenting in each other’s blogs. 2) Sharing posts across social media sites. 3) Linking to related content using correct anchor text. 4) Trading tips and strategies for everything from blog design to increasing blog income. When bloggers in the same geographic area or same niche work together they can multiply their traffic and income in weeks or months instead of years. Ah, now I understand. Thank you for this short but simple explanation. Collaborating is the right word instead of competing. Its really so interesting to see the blogging community trying to be a close knit community by promoting each other which is something very rare in a competitive field. Collaboration can give better results and make competition more fun. 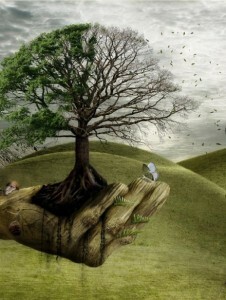 Collaboration is a very good idea, and it’s very interesting too. I will surely participate. Glad you put up this post Gail! I couldn’t agree more to collaborating and working together, though it sure is something that very few people are ready to do nowadays, unless someone takes such an initiative. Collaborating instead of competing is a concept I’ve been encouraging businesses to consider for years. Bloggers are often more receptive to the idea – especially the DoFollow CommentLuv Bloggers. That’s Informative article for me. I am using blogger for my blog. I am not using any technique as you said here. Thanks for this post to guide me for my blog. Hello Gail. I am a firm believer in collaborations ever since you started teaching me about them. I will have to look where my focus will lie and will post those details later. I really like what you are doing here and I love what you said about how you are trying to get bloggers to stop competing and start collaborating. I would love to be a part of this project, but, I am just afraid with my crazy time shortage, I may not be able to fully participate. Either way,I am going to leave my info and see what happens. 7. Afternoons and Evenings EST (if you contact me ahead of time I will make sure to be around my computer.